"God Is A DJ" - need we say more? 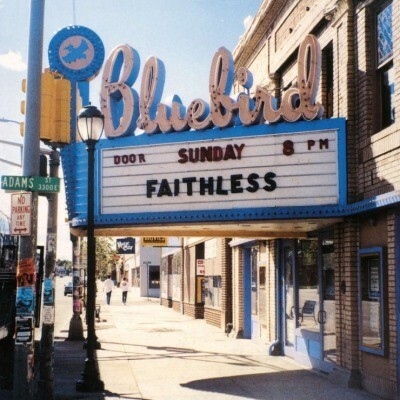 Good for Saturday nights - as well as Sunday evenings - Maxi Jazz, Rollo and Sister Bliss are the holy trinity at the centre of the U.K. electronic Dance collective Faithless. Catapulted to fame by their 1996 banger "Insomnia", the group went on to play almost every stage, club and festival known to man. Twice. Music On Vinyl is now releasing their second album, Sunday 8PM, on 180 gram audiophile vinyl. On Sunday 8PM, Maxi Jazz's reverent flow managed to produce "God Is A DJ", not just a dance anthem, but a hymn of majestic proportions. The audience at the Dutch festival Pinkpop went so wild to the song that the band decided to use live footage of the concert in their video. Sunday 8PM is a prime example of Dance at the peak of its popularity, but don't let nostalgia fool you; this album still stands today even in one of the most changing and evolving music genres.